Why Do I Need a Video Pipe Inspection? Plumbing problems are a common and often expensive source of frustration for property owners. However, there are measures you can take, such as getting regular video pipe inspections, to ensure your plumbing systems are well-maintained and in good working condition. During a video pipe inspection, a plumber will send a high-resolution, waterproof camera attached to a flexible rod into your pipes to diagnose the cause of a blockage, leak, odor, or other problem. Additionally, the footage from the inspection can be saved or recorded on a DVD for future reference. Video pipe inspections are a cost-effective way to determine the source of existing and developing problems. Because plumbing systems are complex and often underground or behind walls, it is challenging to identify the exact location of a problem. A camera gives the plumber a real-time view of the inner workings of the pipes, allowing them to precisely pinpoint the location of problems, properly assess the cause and extensiveness of damage, offer feasible solutions, and give accurate cost estimates. Are buying a home – avoid the surprise of purchasing a home that requires costly pipe repairs. Have a home that’s older than 15 year – plumbing problems commonly arise with age, so it is recommended to have older homes inspected every few years. Are considering putting a kitchen or bathroom addition on your home –make sure your current system can handle your increasing plumbing needs. Have dropped valuables down a drain – a video inspection can locate your missing jewelry and other valuables. Experience frequent backups or basement flooding – find the source of a clogged drain, and determine whether a pipe needs to be repaired or replaced. Boston Drain Company has been a trusted plumbing service for homeowners and businesses in the Boston area since 1982. We provide dependable, efficient service 24 hours a day, 7 days a week, for all of your drain and sewer cleaning needs, including video pipe inspections. 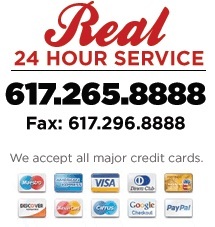 Give us a call at 617-265-8888 or contact online for a free estimate or service request! Posted in Blog, Frequently Asked Questions. ← How to Avoid Plumbing Scams?